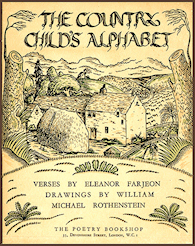 In 1924 Harold Monro of The Poetry Bookshop in London issued two alphabet books by children's author Eleanor Farjeon. 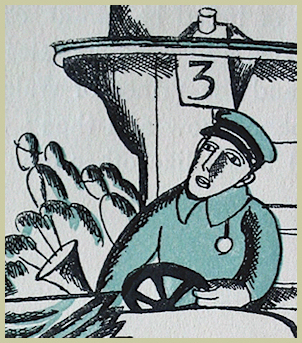 One was The Town Child's Alphabet which was illustrated by David Jones, and the other was The Country Child's Alphabet, which was illustrated by the young (just over age sixteen) William Michael Rothenstein. 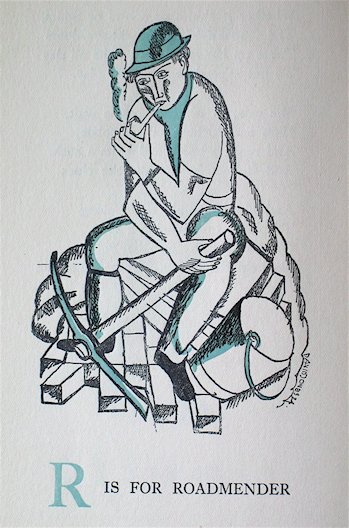 Images are courtesy of a private collector. 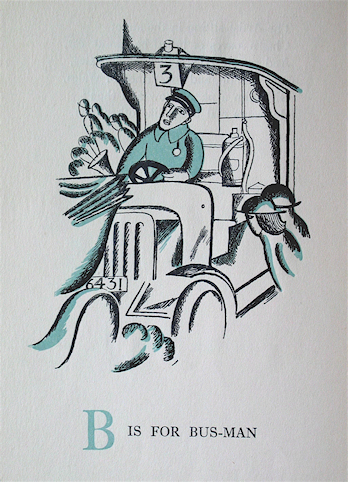 Booksellers and auction houses offer glimpses on the net of many of Eleanor Farjeon's books. 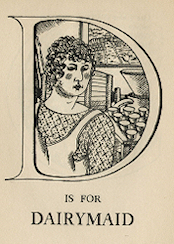 Below is a sample of The Country Child's Alphabet and D is for Dairymaid (illustrated by the young Michael Rothenstein) from Aleph-Bet Books. 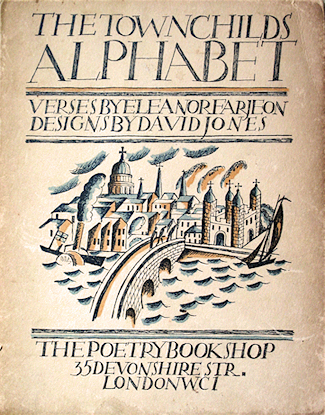 And to the right, a sample of the Poetry Bookshop's popular Rhyme Sheets from Bloomsbury Auctions via liveauctioneers.com.